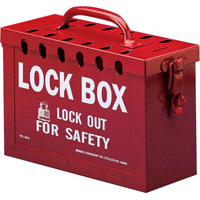 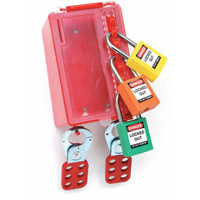 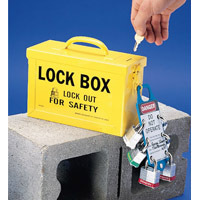 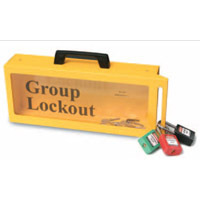 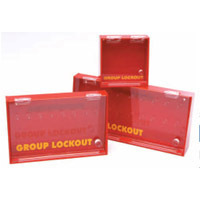 For group lockout situations involving a large number of workers and equipment, lock boxes can offer a number of advantages over hasps. 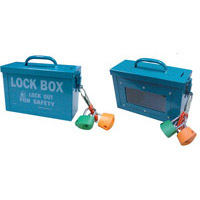 Checking the locks on the lock box allows you to track who is still working. 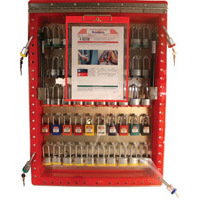 With hasps, you need to walk around to each energy control point to see whose lock is still in place, proving to be most time efficient.